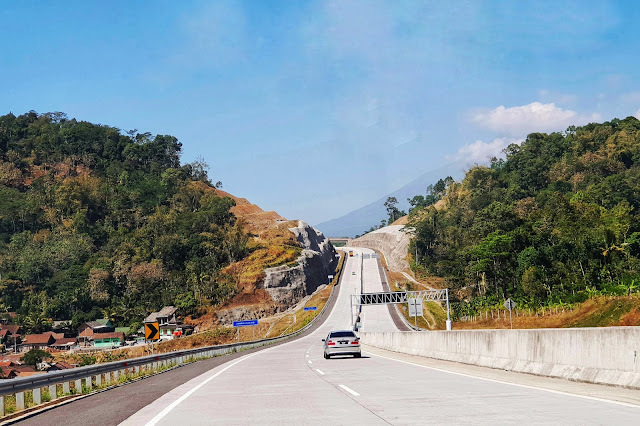 This time, I choose a hotel on the main road linking the province. Hotel FrontOne Semarang looks interesting. My consideration is that the hotel has a car parking area, looks clean and modern, has a restaurant, cheap room prices and there is a gift shop next to it. Yes, as a mother I like to shop anything at souvenir and food shops. Semarang is famous for tofu meatballs and delicious bamboo shoot spring rolls. Saya memesan kamar standar terdiri dari dua single bed dengan fasilitas kamar mandi shower, dua air mineral dan wifi. Ruangan sempit tapi tidak masalah karena kami hanya perlu untuk istirahat beberapa jam saja. Kamar sempit itu kami isi 2 orang dewasa dan 2 anak-anak. 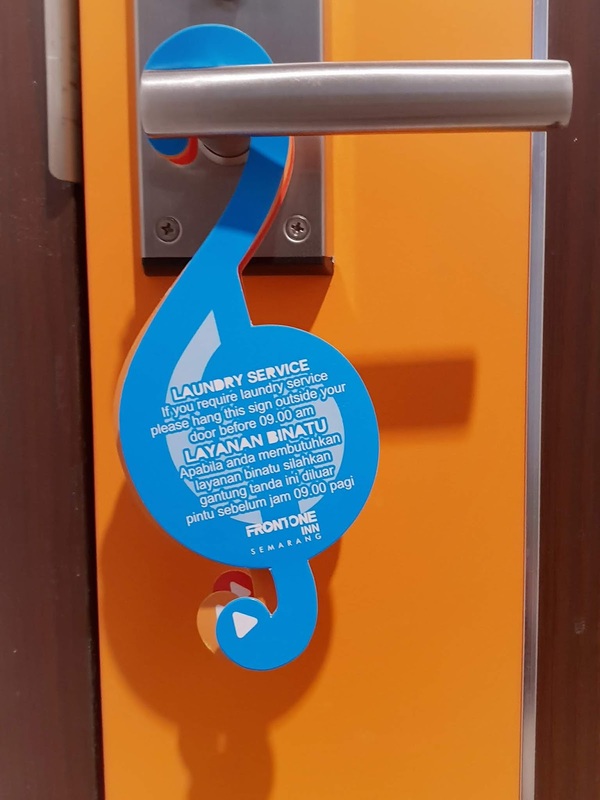 Harga kamar standar hanya Rp. 170.000 per malam. I booked a standard room consisting of two single beds with bathroom shower facilities, two mineral water and wifi. The room was cramped but it didn't matter because we only needed to rest for a few hours. Our narrow room contained 2 adults and 2 children. The standard room price is only Rp. 170,000 per night. 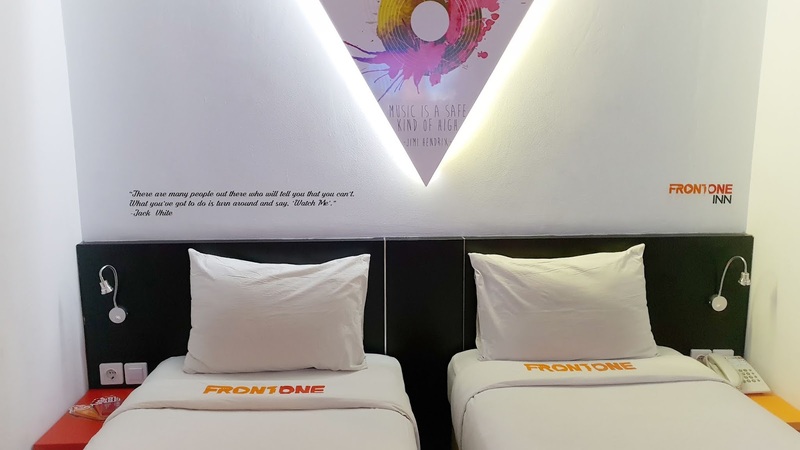 Dalam gaya sederhana, Hotel FrontOne memberikan suasana ceria. 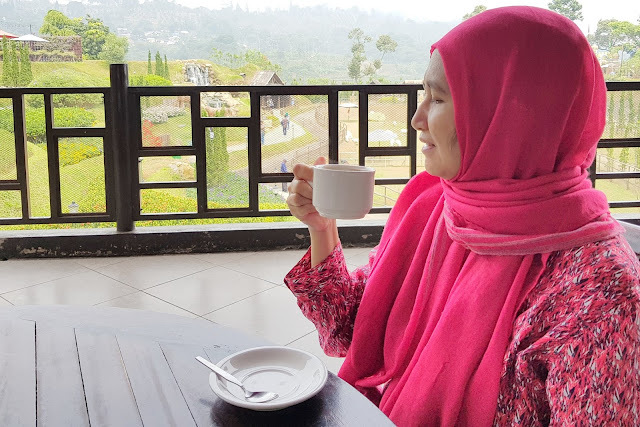 Coba lihat, aksesoris yang ada di hotel sederhana dan ceria. Tag pesan di pintu dibuat dengan bentuk lucu dan kalimatnya yang membuat saya ingin tertawa. 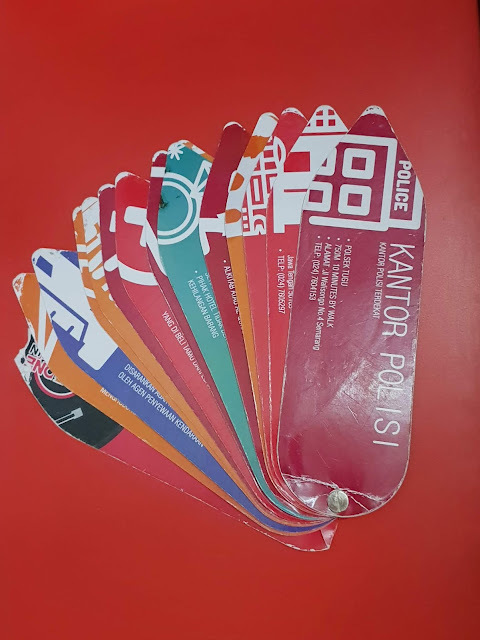 Di meja ada booklet informasi yang berbentuk pensil dengan kertas warna warni. Dan lihat saja, gantungan baju super sederhana terlihat lucu. 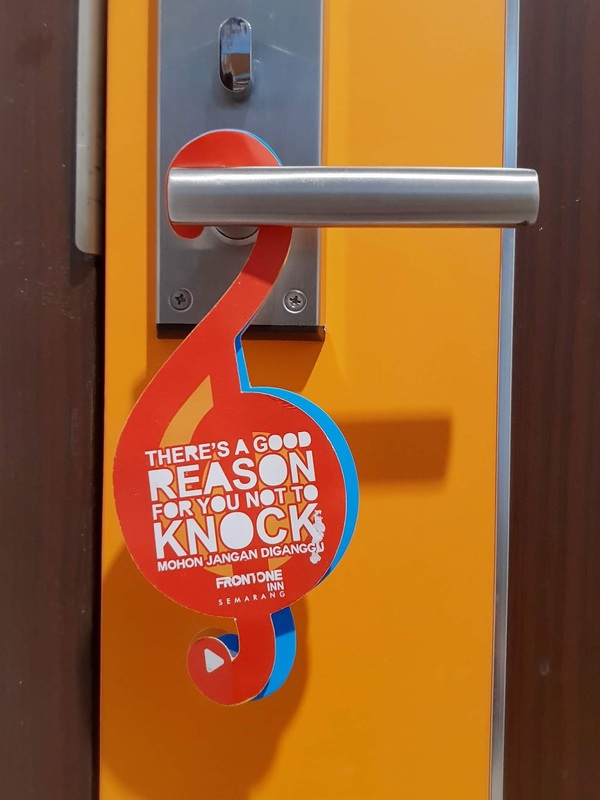 Membuat saya melupakan lemari baju yang biasanya ada di kamar hotel. 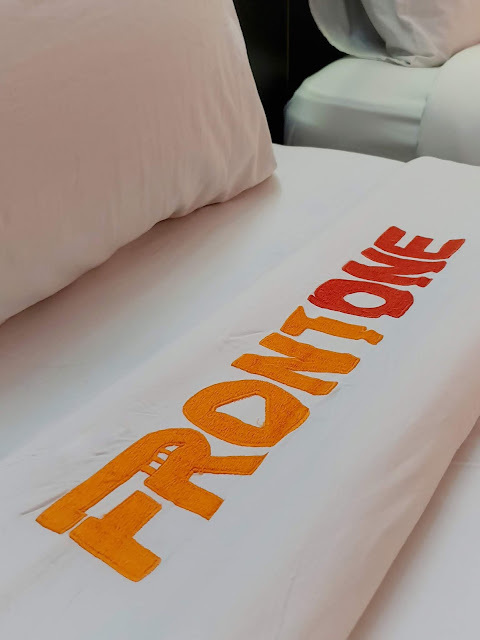 In simplicity style, Hotel FrontOne provides a cheerful atmosphere. Look, the accessories in the hotel are simple and cheerful. 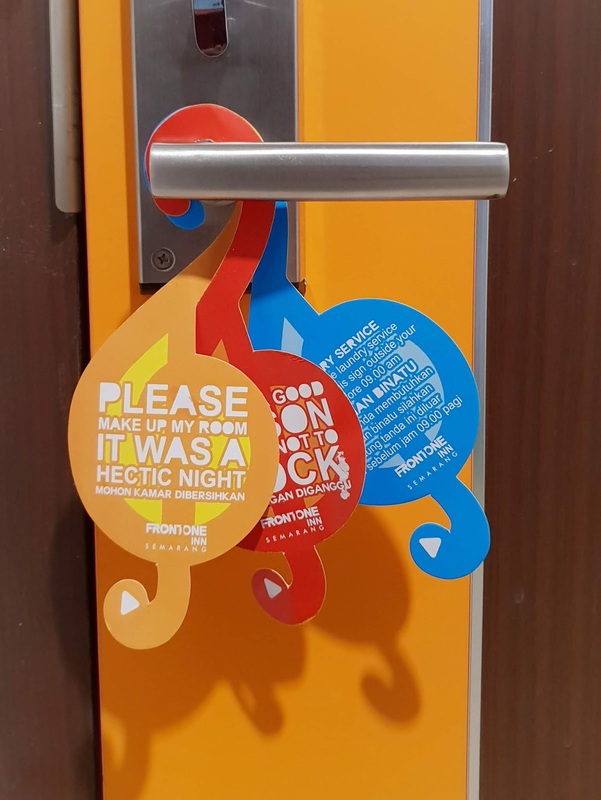 Door tags-message are made with funny shapes papers and the sentences written make me want to laugh. At the table there is an information booklet in the form of a pencil with colorful paper. 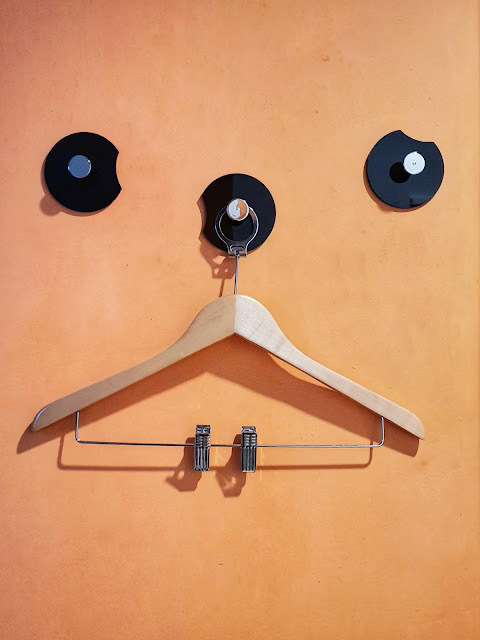 And just look, super simple clothes hanger look funny. It makes me forget about the wardrobe that is usually in a hotel room.